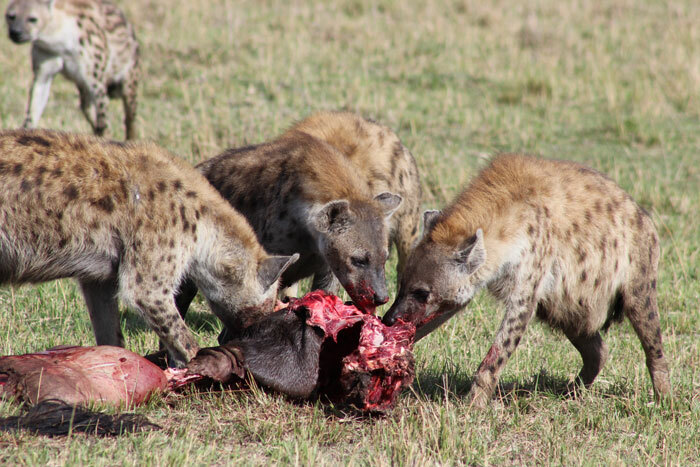 A pack of spotted hyenas tore into the remains of a wildebeest on the Maasai Mara National Reserve. 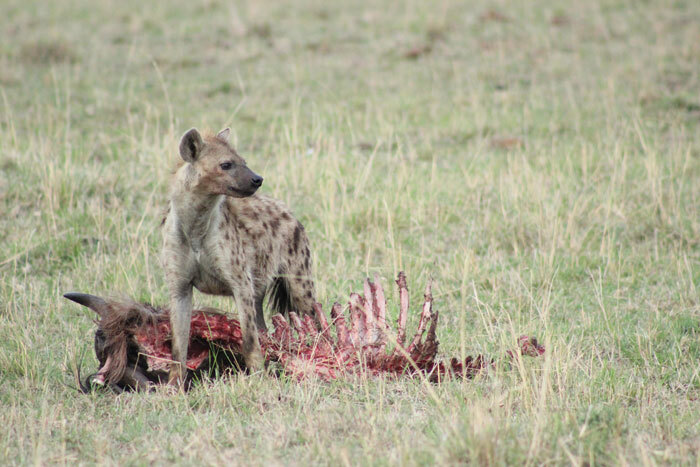 The scene was gruesome, tense and typical: Hyenas reinforcing their pecking order by giving the most “important” individuals first dibs at the best flesh, the lesser among them picking at the scraps, the interloping silver-backed jackals and vultures mooching their way in for desperate nibbles. One by one, individual hyenas stumbled away from the scene, their bellies protruding like your chubby uncle parked in the living room recliner after a big dinner. They, too, sought out comfy places to digest their feast. 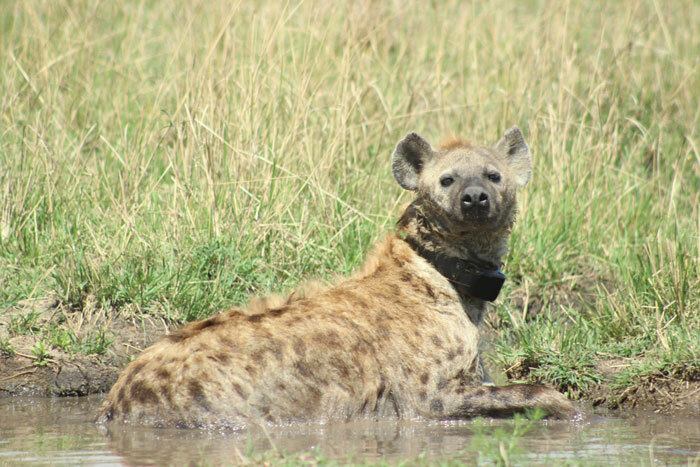 One hyena found an indulgent spot – a small mud pool smack-dab in the middle of the open plain. Upon closer inspection, we noticed that particular hyena was wearing a radio collar – a device that allows researchers to track where an individual animal migrates. Ever since I saw a radio collared polar bear during a World Wildlife Fund expedition in Svalbard, Norway a few years ago, I’ve taken a great interest in radio-collared wildlife. As unnatural as this piece of bling looks around the neck of a critter that’s supposed to roam the Earth buck naked, seeing a radio collared animal gets my brain churning, wondering about the life of that individual animal. Why was it selected? Who put the collar on? Where has this animal been? Where is it going? Kay Holekamp feels the same way. 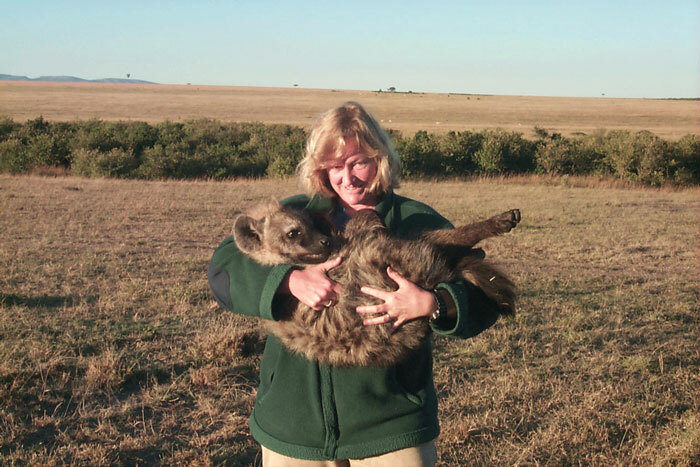 She’s the researcher responsible for the radio collar on this particular hyena, I discovered, thanks to a clue from my Natural Habitat Safaris expedition leader and some internet sleuthing. 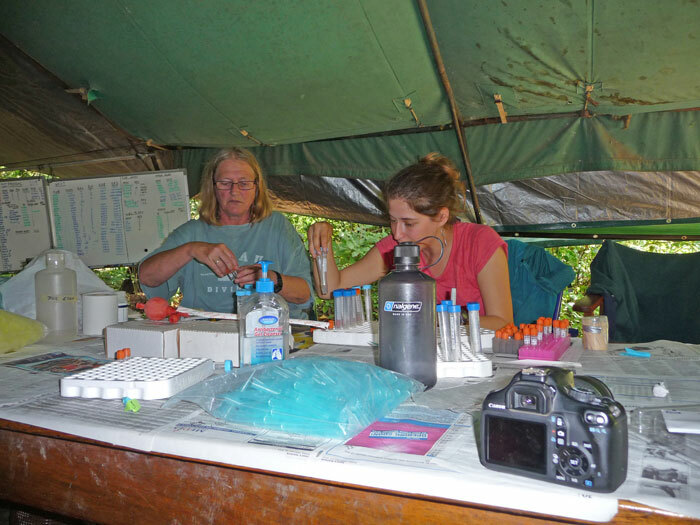 Holekamp is a Michigan State University zoologist currently studying the behaviour of mammals, in particular how various species’ early development impacts their lives as adults. She has her own pack of students camped out in the Maasai Mara studying hyenas’ behaviour, and she has traveled to Kenya frequently over the years. She said she decided to study spotted hyenas because their societal structure bucks the trends researchers see in other mammals. 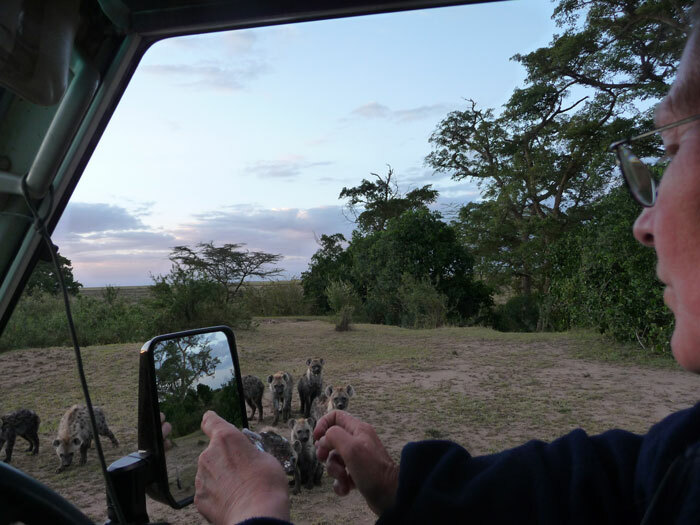 Using very high frequency (VHF) and GPS-enable radio collars that minimally impact the animal, Holekamp has been able to study hyena hierarchies for years. For example, low-ranking animals log more kilometres than high-ranking ones, presumably to lessen competition over food. 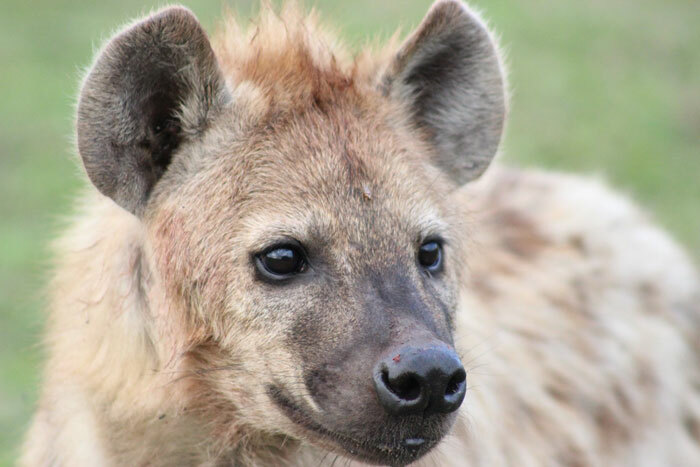 Holekamp is currently watching what happens to male hyenas after puberty, when Mom kicks them out of the nest, so to speak, and they need to find a new social group. 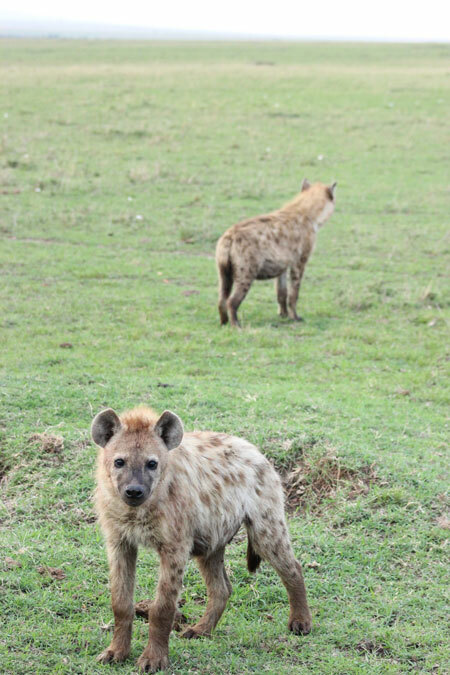 Holekamp shared my photo of the radio collared spotted hyena, along with details about when and where we I saw it, with her students currently in the Maasai Mara. Hopefully, they will be able to identify this hyena and can share details with me about its fascinating, dramatic and so-very-normal life on the plains of Kenya.